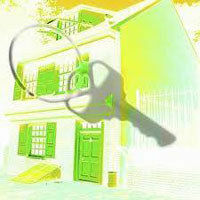 When investing in property, one of the most important point to be taken is the location of the property. This will determine how much return the investor will gain from the purchase. Before determining the exact location to the property, investors may want to know which state in Malaysia is giving the highest capital appreciation and also the average property price. The table below are the average price and percentage price increase for residential property in all state in Malaysia. The data are from RAM Economics. From the table above, Kelantan has the highest capital appreciation and follow by Kuala Lumpur, Sabah & Penang. The worst are Putrajaya, Labuan, Kedah and Negeri Sembilan which experiencing reduction in price. If you are investing in property, which state will be your choice? What Property Investors want from the Newly Formed Government? I would suggest maybe should take capital of each state to compare instead of average per state? ChampDog, of course I’ll link back as I get the data from your blog. I’m looking at Selangor area. insane, that is the only data that I can find, courtesy of ChampDog. Good info for property investor. Wonder why Negri Sembilan is not a good location as it is near to KL?